This page was created so that you can see the care that is put into framing of each of my photographs. If you click on any of the photos, the image will enlarge so you can get a closer look of the mating and framing. Color combinations in matting are just as important as the character of the frame that surrounds the photograph. You have my guarantee that each photo I produce for you carries my promise that you will see exceptional care in color, texture and form. So, when you find an image (or a group of images) that you like, I know that you will love the finished photograph when it arrives at your door. 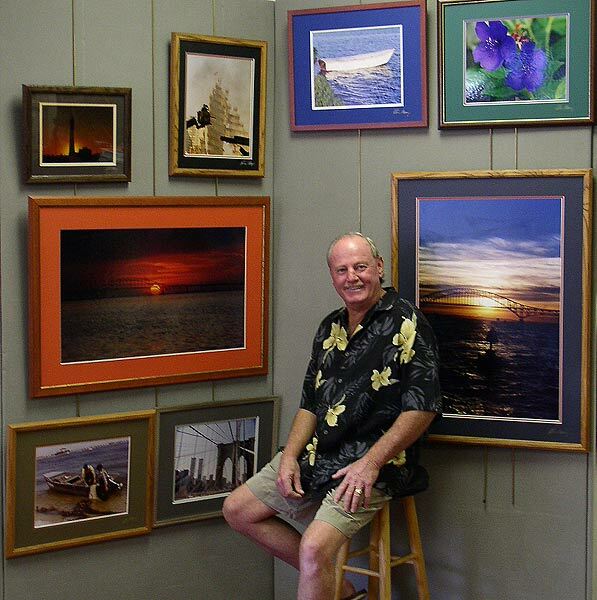 The photo of me in the framing gallery is so that you can see the various sizes of the finished images. My home gallery is open. You can call 631-942-1291 to make an appointment to visit.